Skaneateles is a quaint and historic area in the Finger Lakes. There are numerous activities that attract tourists and neighbors alike. Skaneateles Lake is pristine and offers abundant swimming, fishing and relaxing areas. Boat charters and excursions are sought after; you will want to get your reservations in early! 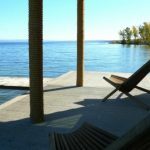 Finger Lakes vacation rentals has been a mainstay in Skaneateles and offers exquisite private homes for your lodging needs, whether a quiet place to escape to or a welcoming family entertainment option. Forget the stuffy motels, and consider how Skaneateles luxury rentals could turn a ho-hum vacation into something amazing. Skaneateles is a town in Onondaga County, New York, United States. The population was 7,209 at the 2010 census. The name is from the Iroquois term for the adjacent Skaneateles Lake, which means “long lake.” The town is on the western border of the county and includes a village, also named Skaneateles. Both town and village are southwest of Syracuse, NY. Village attractions include boat excursions, inns, restaurants and a spa, as well as boutique shopping and art galleries. The summer Skaneateles Festival of music is a seasonal event, as is the annual Skaneateles Antique and Classic Boat Show and the Dickens Christmas in Skaneateles with actors in period costume performing on the streets. Experience the year round beauty of Skaneateles, and our warm hospitality. If coming from afar, be sure to book a room at one of the many cozy inns, motels, hotels, or B&B’s. In our historic downtown district, shops and galleries are housed in restored buildings dating back to 1796. Browse for unique foods, distinctive fashions, original art, home accessories, a special antique. Relax at a restaurant or tavern; the atmosphere may be casual and lively or quietly gracious, but the menu is always tempting. 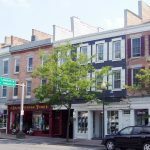 Skaneateles is home to a thriving residential and business community, and host to thousands of visitors and vacationers each year. We hope you will feel like Skaneateles is your home away from home. – Remember when the lights came up on the orchestra atop the new Robinson Pavilion at Anyela’s Vineyards? – Remember when the stage shook with dancers for the first time? – Remember when Wynton Marsalis sounded the first chord with his 15-piece orchestra? We have filled this season with music to linger in your memory long after the Festival ends. While some moments will be grand and glamorous, others will be intimate, surprising, haunting, peaceful. Let the music take you places you’ve never been, and where you never thought you’d go. The Finger Lakes region of New York State is renowned for a variety of fine dining options. Our luxury Finger Lakes Vacation Rentals are conveniently located near several restaurants featuring local fare in the Skaneateles area. The story of Anyela’s Vineyards began three generations ago in Eastern Europe and continues today on the hillside high above Skaneateles Lake. The Nocek family combines its viticultural experience with the cooler climate patterns and fertile soil to grow our select grapes. We look forward to welcoming you to Skaneateles. There are many places to stay in the Finger Lakes, but none so well appointed as our private homes here at Finger Lakes Luxury Rentals. Your visit here in our area is most welcome and we wish to provide you with happy and lasting memories for years to come.